Donald Steinberg is president and CEO of World Learning, an international nonprofit organization that provides education, exchange, and development programs in more than 60 countries. He has more than 35 years of experience with government and nongovernmental organizations, and expertise in international relations and development. Steinberg previously served as deputy administrator at the U.S. Agency for International Development, where he focused on areas including the Middle East and Africa; organizational reforms under USAID Forward; inclusion of women, people with disabilities, LGBT persons, and other marginalized groups in development; and expanded dialogue with development partners. During his prior government work, Steinberg served as director of the State Department’s Joint Policy Council, White House deputy press secretary, National Security Council senior director for African Affairs, special Haiti coordinator, U.S. Ambassador to Angola, and the president’s special representative for Humanitarian Demining. He was also deputy president for policy at the International Crisis Group, a Randolph Jennings senior fellow at the U.S. Institute of Peace, and has advised the Women’s Refugee Commission, the U.N. Development Fund for Women, the U.N. Civil Society Advisory Group for Women, Peace and Security, and the Institute for Inclusive Security. 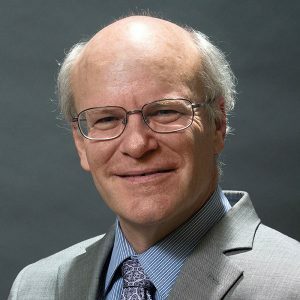 He is the author of more than 100 articles on foreign policy, African developments, gender issues, post-conflict reconstruction, children and armed conflict, and disarmament, for outlets including the Christian Science Monitor, Guardian, The Nation, and the International Herald Tribune. He holds master’s degrees in journalism from Columbia University and political economy from the University of Toronto, and a bachelor’s degree from Reed College. Steinberg’s honors include the Presidential Meritorious Honor Award, the Frasure Award for International Peace, the Hunt Award for Women in Policy Formulation, the Pulitzer Traveling Fellowship, the State Department and USAID Distinguished Service Awards, and six State Department Superior Honor Awards.